Our mission is to provide high quality medical and surgical care to our patients while serving our clients with education and assistance in all aspects of animal care and ownership, including public health awareness. We strive to exceed our clients' expectations by treating owners and their pets with respect, honesty, and compassion and treating all animals as if they were our own. Our services are provided in a clean, safe, and friendly environment and our goals are to work as a team, complementing each other’s talents and retaining a positive attitude. 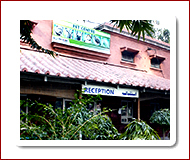 Pet Centre is the oldest Teaching Hospital of Asia established in 1882 as Dog Hospital upgraded to Pet Centre with upgradation of the college to University in 2002. Before this new setup the dog hospital had been engaged to provide indoor & outdoor treatment facilities to the dogs and cats only. The Hospital provides full time facilities to the Small Animals, Avian, Wildlife and Exotic Animals. The Hospital has been divided into two sub-hospitals i.e., Feline and Canine Hospital (which run separately). The strength of the technical staff has also been increased to cope up with the number of the patients brought to the hospital for treatment. The centre is working under the supervision of Six Staff members specialized in this particular area. With this provision the centre is working round the clock for the welfare of the patients and convenience of the pet owners. The centre has been equipped with modern facilities for medicine and surgery including diagnostics and emergency care.